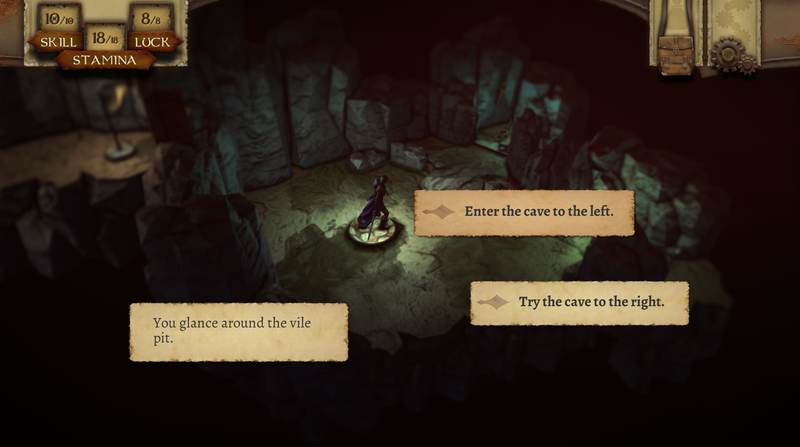 The Warlock of Firetop Mountain is a digital re-imagining of the classic adventure gamebook written by Steve Jackson and Ian Livingstone. 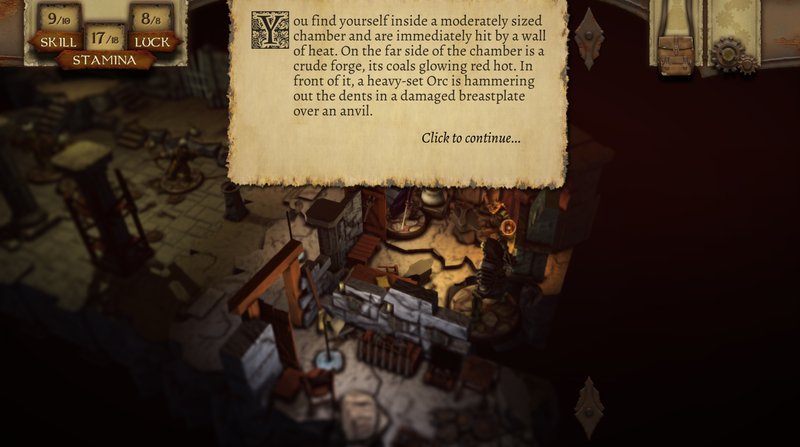 Tin Man Games is bringing it closer towards its tabletop role-playing game roots, complete with a rich interactive 3D map, collectable digital miniatures, an updated combat system and the ability to explore Firetop Mountain with multiple characters. In 1982, Steve Jackson and Ian Livingstone, co-founders of Games Workshop and the first distributors for Dungeons and Dragons in Europe, wrote the first Fighting Fantasy gamebook - The Warlock of Firetop Mountain. In a time when videogaming and the RPG industry were in their infancy, the adventure gamebook allowed wannabe adventurers to journey to other worlds, engage with evil forces and decide the fate of themselves and the quest they were set upon. With the success of The Warlock of Firetop Mountain came a whole series of Fighting Fantasy adventures, over 50 of them with supporting novels and tabletop role-playing systems. 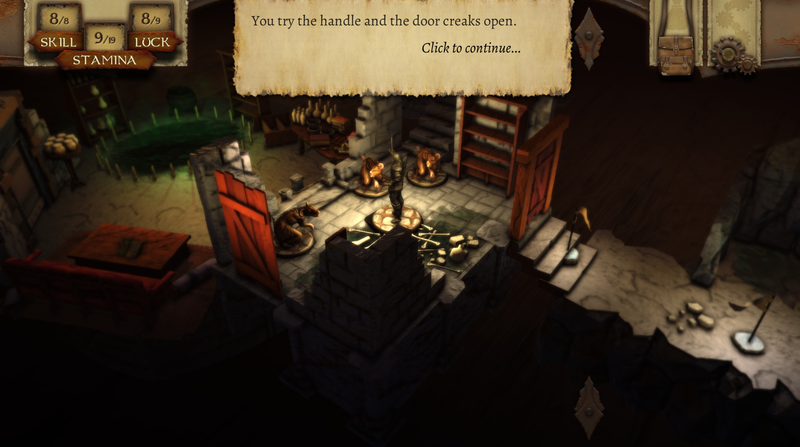 Tin Man Games has already developed and released 8 of the original books as digital gamebook apps. Firetop Mountain - expanded! New monsters, rooms and traps! Figurines from Otherworld Miniatures - digitally scanned into the game! 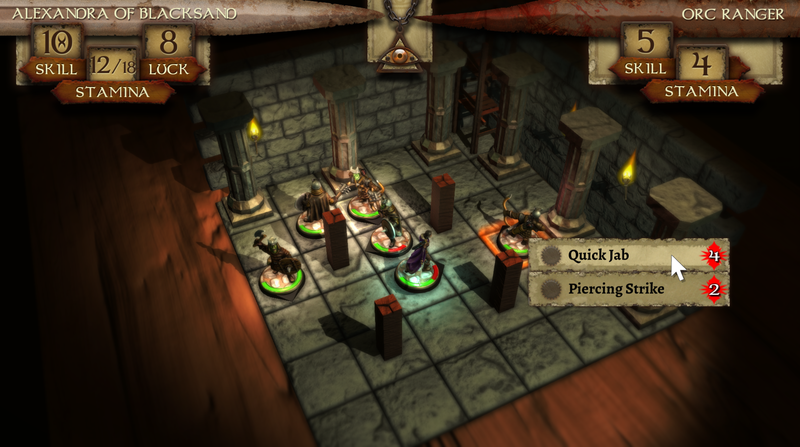 Turn-based combat with you and your foe's moves playing simultaneously! Original art from Russ Nicholson, plus extra illustrations for this edition! "The look of the game goes for a style reminiscent of miniatures on a game board, a great match for Warlock's theme and setting." "What Tin Man is doing with Warlock isn’t just updating the combat but something entirely new, something we haven’t seen before, and it looks downright incredible." 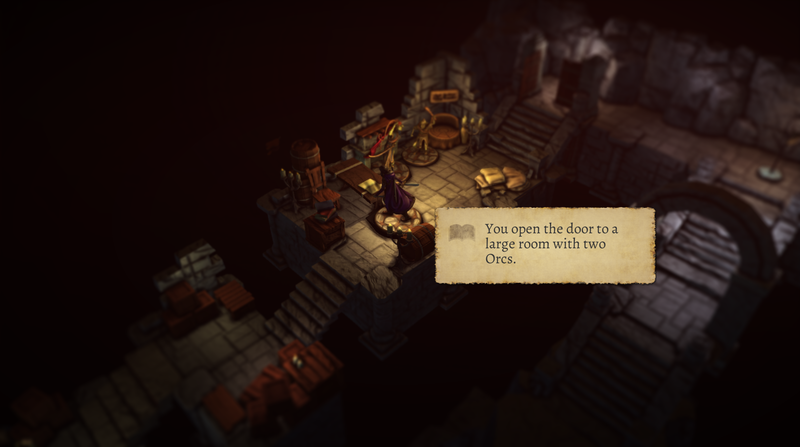 "The Warlock of Firetop Mountain by Tin Man Games looks incredible, never seen art and story combined this way."